The foundation of your home can crack for a variety of different reasons. Some of those reasons stem from mistakes made during the original construction of your home, while others could be a result of your own wrongdoing. Regardless of the reason, you should have foundation repair done to fix cracks and prevent them from getting worse. By working with a company that performs foundation repairs in San Antonio, you can keep your home’s foundation strong. Here are several common causes of foundation cracks. If the soil that surrounds your foundation has too much moisture in it, that moisture will often find its way into your foundation. It will also cause the soil around your foundation to swell, which can cause your foundation to crack. You can prevent the need for foundation repair by taking steps to keep water away from your home. By grading your yard, installing gutters and downspouts that direct water away from your house, and inspecting your foundation for signs of moisture on a regular basis, you can prevent water from becoming a problem. While too much moisture can become a problem for your home’s foundation, too little moisture can also cause issues. During drought conditions, the soil around and underneath your home will shrink and put pressure on your home’s foundation. That pressure will often cause it to crack and weaken the foundation as a whole. A company that specializes in foundation repair can speak with you about how to keep your soil moist enough during droughts so that it doesn’t affect your foundation. When your home is built, the soil underneath needs to be compacted properly so that it doesn’t cause your home to shift dramatically over the years. If proper compaction is not done, you will likely have to deal with cracks in your foundation in the future. 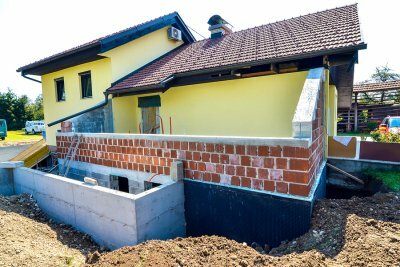 General contractors can evaluate your home and figure out the best possible solution if you encounter this problem with your foundation.